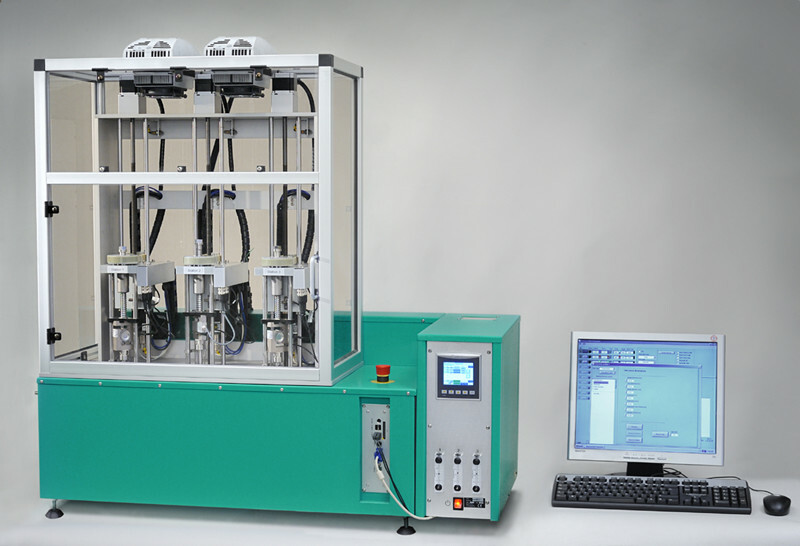 With the Automatic Creep and Stress Relaxation Tester - EB-18-II-3 For Testing of Rubber - tests can be done. The instrument is based on our triple temperature oven EB 07, which means that each test station can run with an individual temperature. The test rigs are based on our relaxation rig EB 02, but lowering and raising of the rigs is motor driven. The compression or tension of the samples is also motor driven with a servo motor. The test rigs are built into a plastic cabinet made of polycarbonate and aluminum profiles. The cabinet is cooled by Peltier elements which keep a constant room temperature around the test stations.